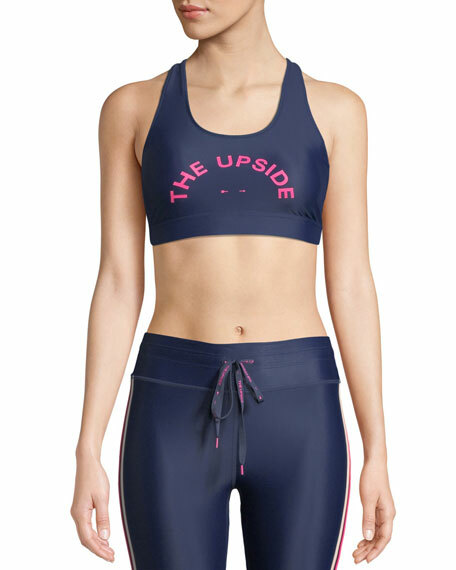 The Upside "St. Tropez Zoe" printed sports bra. Soft, quick drying, four-way stretch fabric. PE Nation "The Fanatic" performance crop top. Provides support during low to medium impact activities. Breathable, sweat wicking fabric. High-density elastic waistband. V neckline. Racerback. Pullover style. Nylon/spandex. Imported. 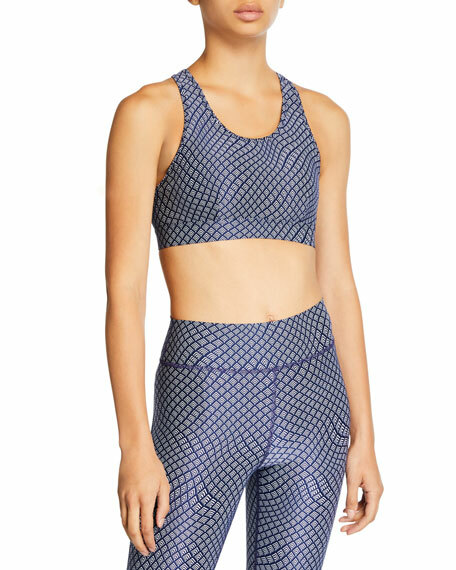 The Upside "Anna" sports bra in Geo Wave print. Moisture wicking, quick drying, four-way stretch fabric. Breathable back mesh panel. Removable cups. Scoop neckline. Racerback. Cutout back detail. Banded under bust Pullover style. Nylon/spandex. Imported. 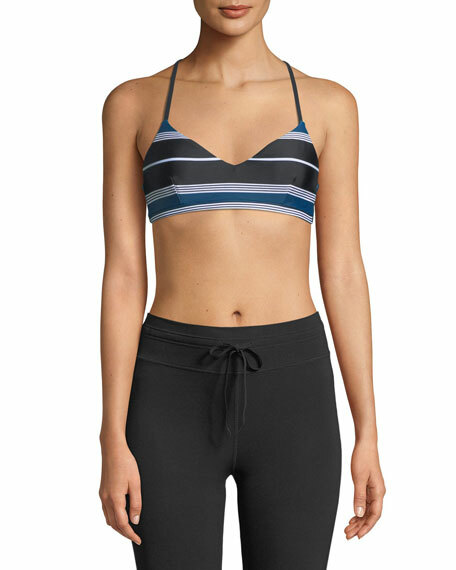 The Upside "Anna" sports bra in high-performance fabric. Soft, quick drying and four-way stretch fabric. Logo graphic across front. Removable cups. Scoop neckline; T-bar back with cutout. Banded under bust for support. UPF 30+ protection. Pullover style. Nylon/spandex. Imported.